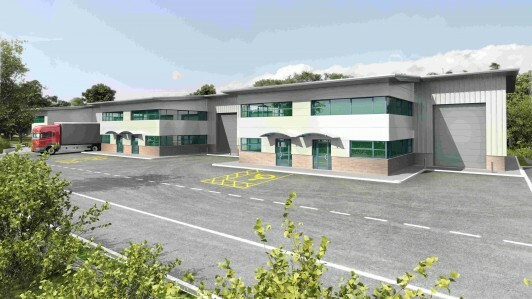 A £4 million project to create nine high-quality industrial units and offices and 89 jobs at Treleigh Industrial Estate has been approved for more than £2 million of ERDF Convergence investment. The project will involve building over 2,500 sq m of business/workshop units; giving a range of varied sized small units to suit start up and smaller businesses and providing high quality, low maintenance, environmentally friendly and low energy use accommodation. The units are all to be built with a BREEAM ‘excellent’ rating. BREEAM is a way of measuring environmental sustainability in buildings. Acorn Developments, which is also investing just over £2 million, is to carry out the scheme at the industrial estate, which is near Redruth. Andy Davis, partner in Bodmin-based Acorn Developments, said: “We’re delighted that the project has now been awarded ERDF funding assistance. We are also very grateful to those at CPR Regeneration and SWRDA whose hard work has helped with make this project possible. We’ve now started on site and hope to have the first units available for occupation next summer.